Best Watches for Biking: What are the Best Options? Technology has come a very long way in the past couple of years. Now, there are fitness watches that track GPS, heart rate, and some even have barometers. Because of this bikers and cyclists everywhere are buying watches to enhance their experience. With all the options out there, finding the right watch for you may be difficult. But to make the decision easier, we have selected the top 3 biking watches here for you to choose from. 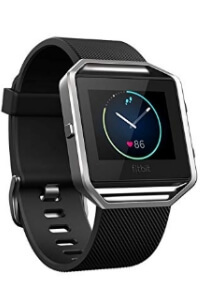 The Fitbit has been growing in popularity ever since its release. This modern looking, feature packed fitness watch does everything you would want a fitness tracker to do while coming in a modern, minimalist design. With this watch, not only do you have multi-sport tracking to track your runs and bike rides, but you can also track your progress over a certain amount of time, which is great for those who are just starting out, or for those who enjoy seeing their progress over time. Plus, users can also get notified on their watch when they have calls, texts, or emails on their phone. 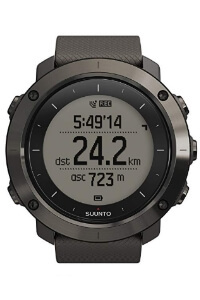 The Suunto Traverse is one of the most advanced outdoor watches on the planet. With numerous features for those who love the outdoors, while also keeping a modern and sleek design. 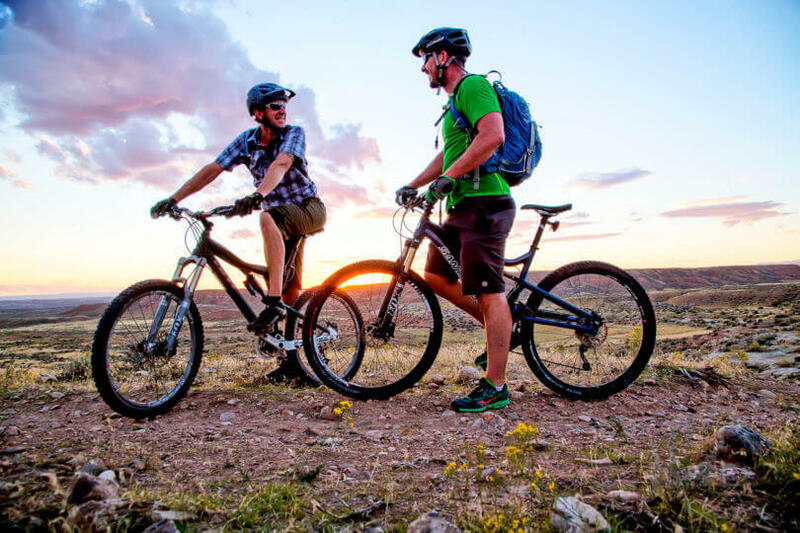 The incredibly accurate GPS helps you track your everyday bike routes, while the altimeter can keep track of the altitude and elevation that you face. Another great thing about this watch is the app it comes with. Users of the watch can download “apps” which can track their specific activity, so that means bikers can customize the watch to expertly track their comings and goings on their ride. This watch features a rugged, yet sleek design which is perfect for those who enjoy outdoor adventures such as mountain biking or hiking. 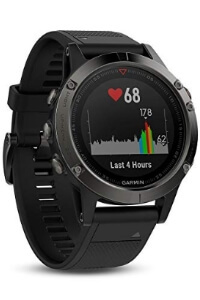 The Garmin Fenix puts all the fitness stats you would need at the tip of your fingers. You can also download free apps on the watch that can calculate key stats for biking, which are very readable even while on a bike (just make sure to always pay attention to your surroundings). One can also rest assured that this watch is durable because the rugged design comes from a stainless steel bezel, buttons, and rear case. There are a lot of designs out there, especially with all the options available for fitness watches, but the best ones are the ones that you can wear all day without interacting with. When looking for a watch, pay close attention to the strap, when biking you’d need a good strap that can stay on without hindering movement. You would also need to look for watches with a relatively small case so that the watch doesn’t get in the way of your wrist while biking. Those are the things to pay attention to, but when it comes to how the watch looks, the choice should be all yours. A lot of people tend to get blown away and excited when reading about all these features that a certain watch has. However, one should pay attention as to what features you’d actually need. When biking, you won’t need that many features. A GPS, heart-rate monitor, compass, and altimeter are the essentials when biking, so everything aside from that is an extra. There’s nothing wrong at all with extra features such as barometers, but always make sure that you will find a use for these features or else you’ll end up paying extra money for something you won’t really use. Fitness watches, one way or another will be exposed to liquid. Whether it be from sweat that came from the actual workout, or maybe from the shower that proceeds the workout. Either way, you don’t want to end up damaging your watch accidentally, so make sure that your watch is at least water resistant to at least 100 meters (but if you’re using the watch for swimming, consider water resistance to at least 150 meters.). Most, if not all fitness trackers give you access to certain apps that are sport-specific to give you better tracking. When looking for a watch to wear while biking, always make sure to check the cycling app that’s available to you. Everyone has different standards when it comes to what stats they want to be tracked, so as long as you’ve made sure that the fitness app can track everything you’d need when going for a bike ride, then you will have nothing to worry about!